Tagging replay events with critical information - team name, player number and action type (for example, Eagles/18/touchdown pass) - allows for fast search and replay of exactly the highlights you want to find, when you want them. Entering this information by typing it in for each clip to be tagged is tedious, reptitive and time-consuming. 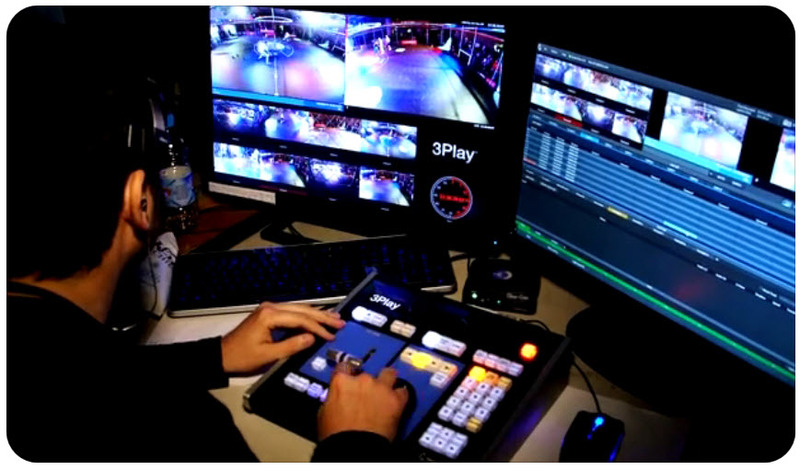 Thankfully, 3Play’s command system allows for tagging to be very much simplified, including by using an external controller to do the work from a touchscreen UI. Double Punch is a collection of 3Play macros with a TouchOSC interface that allows you to use an iPad to quickly tag events on your 3Play 440/4800 system with two button presses. 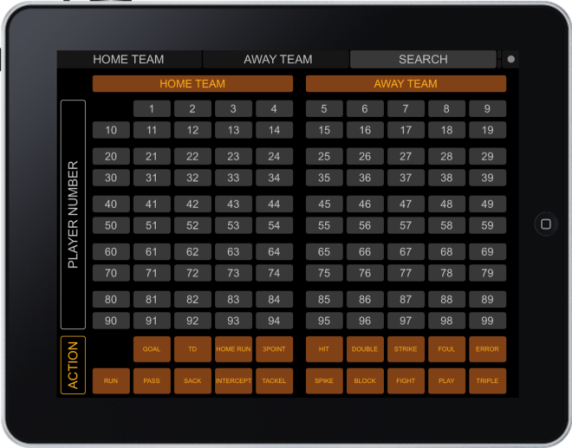 When the necessary data is set up within the iPad Double Punch system, the operator just selects the team, and from then on until the operator needs to change teams again, one keypress tags the event clip with a player number and one tags the clip with the action type. This collection features a search capability, as well. It’s all free (well except for the iPad and TouchOSC app). 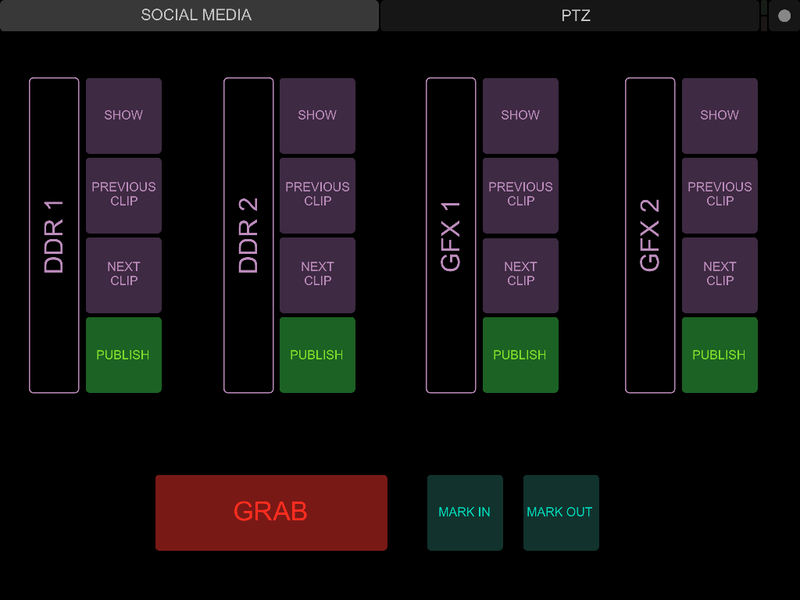 This article builds on the ‘iPad MIDI Control for TriCaster’ article. You need to first perform the steps described in that article on your 3Play system for this workflow to operate. Make sure you have successfully gotten through the steps in that article and have the software elements working, as this procedure depends upon it. Inside the ‘3Play DoublePunch.zip’ file you will find three folders. Start with the TouchOSC Template folder in which you will find the iPad interface. Load this template into TouchOSC Editor. The default template has generic names for teams and actions. You can use TouchOSC Editor to change the labels to the tags you want to use. Make sure that you edit the button labels contained in each of the tabs at the top of the screen (HOME, AWAY & SEARCH). Buttons that you don’t have labels for can be deleted. You can also edit the labels on the tabs themselves if you want to use team names instead of generic names. Once you have the interface updated with the correct labels, sync the interface with the iPad TouchOSC app. If you want to have multiple interfaces with different names, save the TouchOSC interface as a new name and that will become the name of the interface inside of TouchOSC. The folder called Excel Spreadsheet contains an .xls file with the tag information to import into the tagging tool on 3Play. If you have edited the button labels using TouchOSC Editor, make sure you make the same changes in the same order in the spreadsheet so that the labels and tagging information match. There are a few things to be aware of when modifying this information. Teams names are allowed in columns 1 and 2, do not add any more names in the teams area or you may break the macros. In the ACTION area of the spreadsheet, the first two rows can be edited (except for the SKIP found in location 0, 0). Any ACTION contained on row 3 and higher cannot be accessed by the macros. Do not delete the tag found in location 9, 9 in the ACTION area or the macros might fail to work in some cases. Once you have updated the Excel spreadsheet, save it as a .CSV file. You will get a message in Excel saying that some information cannot be saved into a .CSV file, but this will not affect import of the data into 3Play. Copy the .CSV to your 3Play system and import it into your session. In the 3Play Macros folder you will find multiple macro files to import into your 3Play system. The first thing you need to check is the computer name of your 3Play system. If its name is ‘3Play-XD’ then these macro files are ready to be imported. If the computer name is different, then you will need to use the included YAMUT tool to update the macros with the correct name. To do this, copy this folder to your 3Play system then double click on the YAMUT file found inside and a command prompt window will appear. Press the ‘Enter’ key and the macros will be updated. After YAMUT has finished running, a new directory will appear. Import the macro files found inside this directory into your 3Play system. Please be patient while YAMUT is running, there are hundreds of macro files that need to be edited, it will take some time. There is also a PDF document that describes the YAMUT tool in more detail. There are two sets of macro files you need to be aware of. You will notice that there is an ACTIONS-ALL and ACTIONS-SINGLE set of macro files. While both can be imported into 3Play, only one set of these macros should be checked. The difference between these two macro files is that ACTION-ALL will enter the tagging metadata across an entire row in the CLIP LIST, while ACTION-SINGLE will enter the tagging metadata on in the currently selected angle in the CLIP LIST. Decide which method of metadata entry you would like and make sure the other method is unchecked (or deleted). To enter tagging information, select the TEAM tab at the top of the interface. Now press the PLAYER NUMBER, then press the ACTION. As long as you don’t need to change the TEAM, you can continue to press PLAYER NUMBER, then ACTION to tag additional events. Always press a PLAYER NUMBER button before the ACTION button to update an event. Only pressing PLAYER NUMBER or ACTION will cause incorrect or no information to be added to the clip. If you don’t want to enter a PLAYER NUMBER or ACTION, just press the SKIP button to bypass that information. If you realize that you pressed an incorrect button for one of the two steps, just perform the button presses again and the new information will be entered into the event. It is not possible to enter multiple PLAYER NUMBERS or ACTIONS to event using Double Punch. You can manually add additional information using the keyboard after metadata has been entered by Double Punch. To find tags you have entered, click on the SEARCH tab in the Double Punch interface. On this page you fill find the same information as on the tagging pages, with the addition of the TEAM names displayed at the top. Pressing a button will perform a search for just that tag. It is not possible to perform a multiple level search using Double Punch (for example, searching for a PLAYER NAME and ACTION at the same time). It is possible to perform a multiple level search using the 3Play control surface. Any time you press a new button in SEARCH, the old search will be cleared and the new one displayed. Using Double Punch as described above will operate for most sporting events without issue. There are some things consider when setting up Double Punch for your events. The default Double Punch metadata is designed around tagging team sports. However, it wouldn’t be difficult to configure it for individual sports. 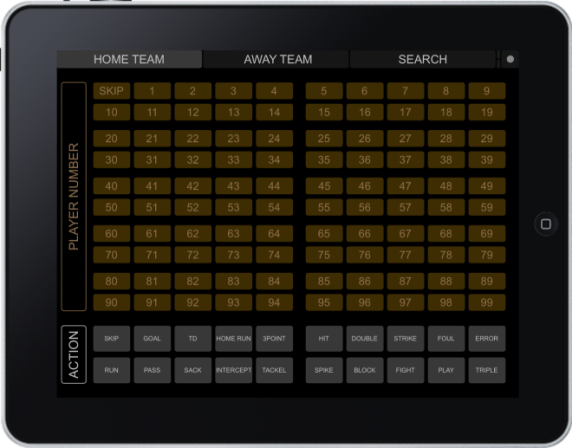 To operate this way, only use the HOME TEAM tab, but assign each athlete a PLAYER NUMBER. In the Excel spreadsheet, clear the HOME team name and you can edit the PLAYER NUMBER so when a particular number is selected, the athlete’s name is used instead. The AWAY TEAM tab would be unused and the SEARCH tab can be used to find PLAYERS and ACTIONS. This entire workflow can work over a WiFi connection. However it is recommended to be in a controlled environment for highest reliability when using WiFi. In situations where you are mobile, you might want to consider a wired solution. Wiring up your iPad to 3Play requires the use of an iPad hardware MIDI interface. 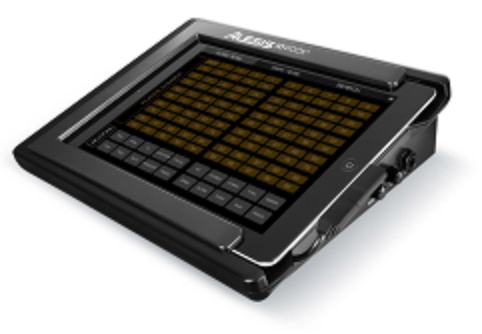 Many solutions exist, but one to look at is the Alesis iO Dock II. This unit will connect your iPad to 3Play using MIDI over a USB connection. It will also power your iPad at the same time so you don’t have to worry about the iPad’s battery running out. 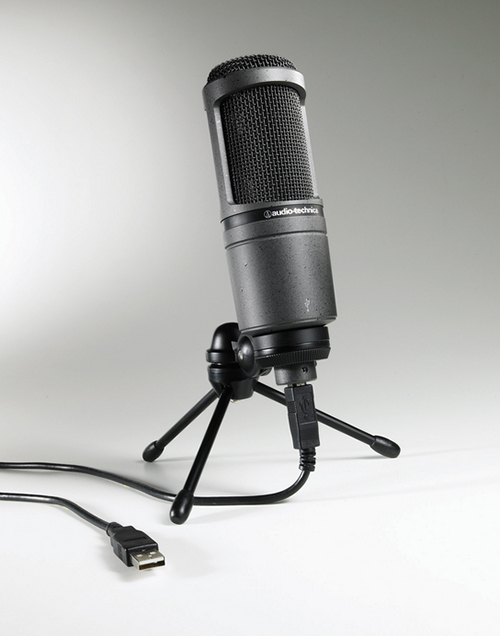 A hardwired connection will require updating the macros to the device name of the MIDI interface. The YAMUT tool can be used for this purpose. Run YAMUT by double clicking on it, but instead pressing enter to use the computer name, type in the MIDI device name as it shows up in 3PLAY when you assign a macro. The name must match exactly, upper/lower case characters are important. Having your iPad directly wired to the 3Play also avoids networking configuration, allowing for quicker setup at your production location. Make sure that your TouchOSC interface has been installed on the iPad before you get on-site; this step does require WiFi networking and cannot be performed using a hardware MIDI interface.